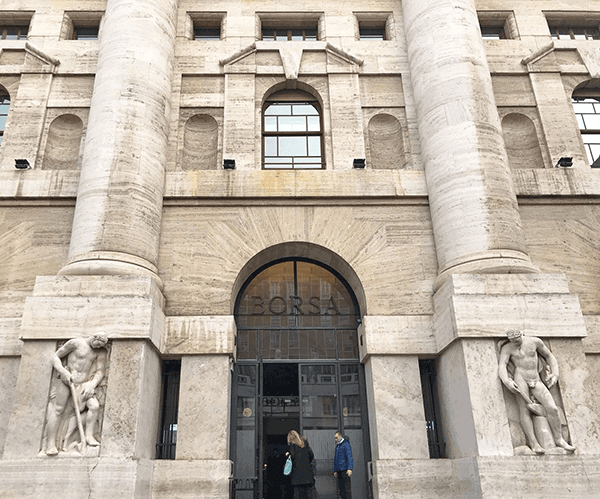 The Deloitte’s 10th Art and Finance Conference took place the past 8 November 2017 at the Palazzo Mezzanotte in Milan, Italy. 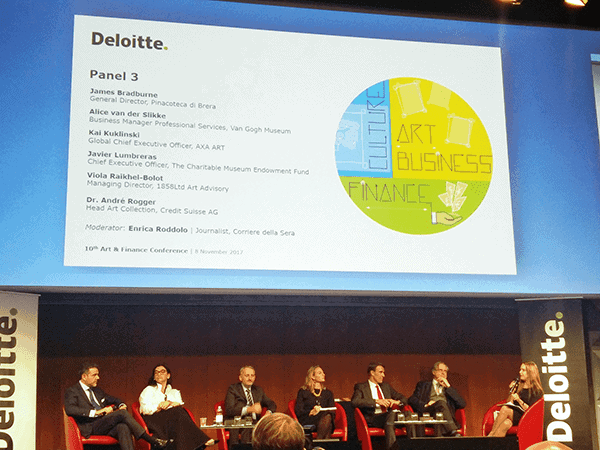 Adriano Picinati di Torcello, Director of Art & Finance Luxembourg and Anders Petterson, Founder & Managing Director of ArtTactic revealed this year’s Deloitte ArtTactic Art and Finance Report 2017 at this solemn venue. The conference was inaugurated by Raffaele Jerusalmi, CEO of Borsa Italiana, who also read the speech of Dario Franceschini, Minister of Cultural Heritage and Activities and Tourism in Italy, also present was Aurelie Filippetti, Former French Minister of Culture. The occasion of the worldwide release of the renowned report, was marked by a full-day event, consisting of multiple plenary sessions, bringing together international specialists and local players who discussed global issues and share their visions of the art market’s future. Along with Alice Van Der Slikke, Business Manager at Van Gogh Museum and Dr. André Rogger, Head Art Collection at Credit Suisse –among other panelists–, Mr. Javier Lumbreras was invited to participate in a panel discussion on how private and corporate collections see their roles in the XXI century. The conversation engaged some of the main issues that private and corporate collections are facing in the development of their museums. The increment of global competition, the reduction of public funding and the relation between private and cultural institutions where some of the topics that were analyzed during the talk. 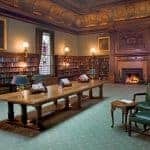 The Charitable Museum Endowment Fund arose as one of the most leading-edge finance projects for philanthropic institutions. The fund appears also as a Case Study in the 5th edition of the report. Some of the other topics addressed during the rest of the sessions included the role of wealth managers in the management of private collections and collections, trust and transparency in the art market, and opportunities and challenges to manage collections in the private and public sectors. In order to know more details, please click here. From left to right: Javier Lumbreras, CEO, The Charitable Endowment Fund; Viola Raikhel-Bolot, Managing Director, 1858Ltd Art Advisory; Dr. André Rogger, Head Art Collection, Crédit Suisse; Alice van der Slikke, Business Manager Professional Services, Van Gogh Museum; Kai Kuklinski, Global CEO, AXA Art; James Bradburne, General Director, Pinacoteca di Brera; Moderator Enrica Roddolo, Journalist, Corriere della Sera.